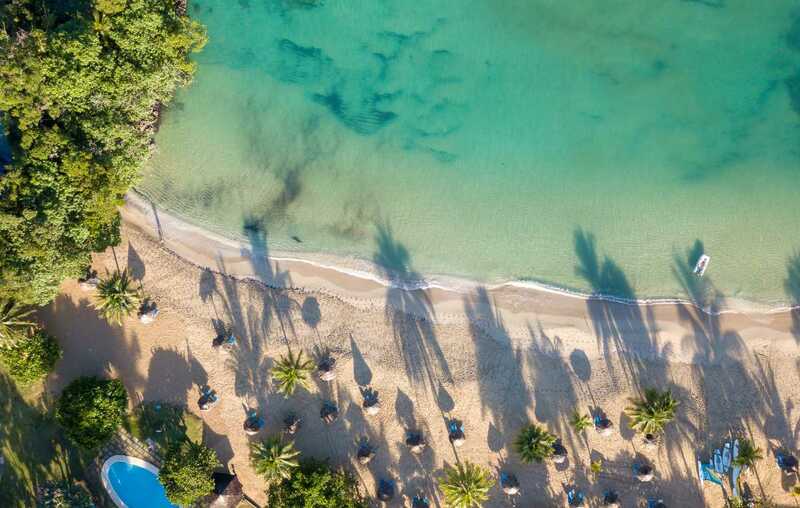 From long sandy stretches to crystal clear water and secret coves, our beaches are where you start your holiday and make memories to last a lifetime. Check out these top beaches in Jamaica below. Dig your toes into the softest white sand in Negril at the Seven Mile Beach, a gorgeous seven mile stretch of non-stop ocean views. A long shallow entry means you can wade out while still standing, ideal for the non-swimmer and your resident mermaid. For the vibes of the city life and the proximity to nearby shopping, Doctor's Cave Bathing Club is the place to be in Montego Bay. Named for the healing properties of the water, Doctor's Cave can be a sea of umbrellas on a hot summer's day. Get there early to pick your spot! For the selfie of a lifetime visit Frenchman's Cove Beach in Port Antonio. Featured in the movie Knight and Day, Frenchman's Cove Beach is a pristine estuary surrounded by the 48-acre Frenchman's Cove Resort. Come feel the sensation of swimming from the cold water of the river as it flows into the warm waters of the Caribbean Sea. For darker sand and unmatched seafood dishes, head to the south coast, where the beaches are world’s apart from their north coast equivalents. Savour lobster and fish fresh from the ocean at Little Ochie or relax on the 'black' sand of Treasure Beach. The southern side of Jamaica is also great for surfing! Stop by Boston Beach or Jamnesia on the south-eastern coast outside of Kingston for a surfing lesson. Just ask for Billy Wilmot, tell him we sent you!